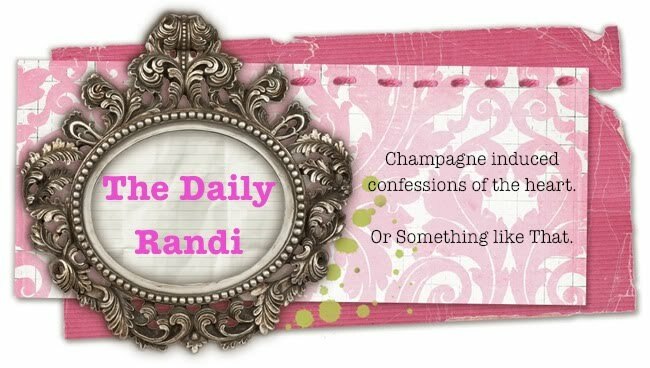 The Daily Randi: Special Weekday Bonus Greatest Hits: Maybe I Should Have Stayed? Special Weekday Bonus Greatest Hits: Maybe I Should Have Stayed? When I was in Palm Springs last week, I got bored all holed up in my villa and so one night I decided to go for a drive. The problem is it is The Desert. Desert is short for Deserted. Did you know that? I figured that out while I was driving around in what seemed like pitch black with no sign of life for miles. I had never seen The Desert before with my own eyes and I have to say, if those people just went and watered their lawn, they wouldn't have so much to whine about. In the development that I grew up in, if someone didn't water their lawn on a regular basis, and it started to look like that, they got a knock on the door from one of neighbors, complaining about their eyesore of a lawn. Being neighborly, I looked for someone to complain to, but I couldn't see any houses for miles. Then I started thinking that maybe those Desert People are just Elderly Folk who have too big a lawn and need a Young Boy to come over and give them A Hand with The Yard Work. Come to think of it, I could use a Young Boy to give me A Hand with Some Yard Work, but now I am off on a tangent, which is not the same as going off to Target. I made the mistake of going off to Target once when I really meant to go off on a tangent, and although I completely made the point I was trying to make, I also ended up with a new microwave oven and a pair of funky flip flops. Back to my story: I went driving in The Desert in the middle of the night and it was really dark, and I didn't know my way around and soon I got scared. I started thinking that if I was a Murderer, I would definitely look for Someone To Murder out here, in the middle of an unwatered lawn. This is where that whole Murdering Thing started, I could tell. And my fear was not that I would be murdered -- it was that I would Murder Someone. Which scared me more than the fear of being murdered, so I quickly turned around in the first driveway I found. It looked like a hospital where I drove into, but when I read the sign it said "Betty Ford Center" with a big arrow, pointing towards "Emergencies." Just found you! Great Blog...almost made me snort once or twice but I'm glad to report that such snort did not get emitted. Luckily, cuz I'm at work and supposed to be working. See ya on the flip side. And you didn't murder one of those rich celebs at the Betty Ford clinic?! Beat 'em to death w/ your funky flip flops? That's a target/tangent worth going off on. Northern Southerner -- I am glad you have Enjoyed My Blog. I do hope your Sudden (less) Snorting was not the sort that would require the services of The Betty Ford Clinic. Michael -- I considered Murdering Someone Really Rich with My Shoes. But, then, I didn't want to spend the rest of the night scrubbing Bodily Fluids off of My Fabulous Fuscia Flip Flops. Do you have any idea how difficult it is to get Blood out of Genuine Leather?